5 Pick n Mix Gluten Free Recipes for only $2.47 That’s less than the price of a cup of coffee! 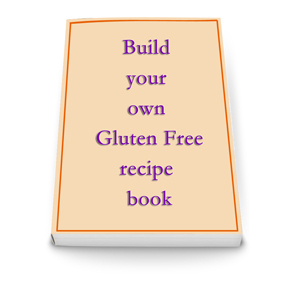 This is your chance to Pick n Mix from our extensive recipe collection of tried and trusted recipes to make your own gluten free recipe book. All recipes on this website have been created and tested by us, so no more wasting ingredients on unknown, untested recipes. Plus all the pictures you see on our website are of the actual recipe you will receive as made by us, no stock photos here! Simply follow the instructions below, place your order and your recipe selection will be delivered to you by email in PDF format, ready for easy printing. Go the the Gluten Free Recipes page. Write down the names of the recipes you would like*. Tip: hover over the picture to see the name or click picture to get more info. Count how many you have written down and divide by 5 to get the number of Pick n Mix recipes you need to order. Come back to this page and “Add to Basket” the number of Pick n Mix recipes you need e.g. if you have 7 recipes you will need to order 2 x Pick n Mix recipes as they come in groups of up to 5 recipes. On the checkout page be sure to type into the Order Notes section the names of the recipes you have chosen. Choose your payment method, make payment and your recipes will arrive in PDF format to the email address you supplied. Notes: As we are manually processing your Pick n Mix order please allow up to 24hrs for your email with the PDF to arrive after your order payment has been processed. We process orders during weekdays only, so please allow extra time in weekends and on public holidays. *Pick n Mix Recipes excludes the Goodness Me Baking and Bread Blend Mix recipes. These two gluten free flour blends are ones we have created and used whenever “flour” is needed. The recipes may turn out differently than intended if another gluten free flour blend is used in place of the Goodness Me Blends. 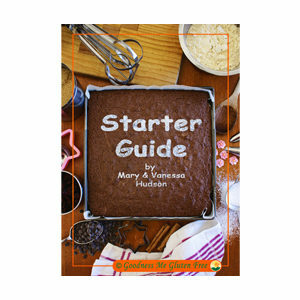 If you want a copy of the Goodness Me Baking and Bread Blend recipes they are included in our Gluten Free Cooking Starter Guide pdf, Baking Cookbook and Baking eBook which can be purchased here. Wondering why we charge for some recipes when so many websites offer them all for free? We spend countless hours writing, creating, cooking, testing, cooking again, photographing, editing, formatting and uploading these recipes to be sure they are not only delicious but will actually work when you make them in your own home. Because we believe that gluten free food should be as enjoyable to eat as “normal” food, in fact you shouldn’t be able to tell the difference at all! So if we can in some way cover even just the cost of the ingredients we use in creating and cooking these recipes it will help us to keep being able to do all the hard work of perfecting these recipes for you, saving you from wasting ingredients and time on trial and error. So thanks we appreciate your purchase.